Wholesale program has changed. Please contact us to receive your new password. We offer our customers the best in service and we endeavor to provide you with the most up-to-date information available to assist you in your needs. Below are links to various categories of fish diseases for your reference. Several years of research and laboratory work were required to compile all of the information we have provided for you here... free of charge. If you still need help, or can't find the problem within our extensive disease index, feel free to call our office for assistance at: (520) 298-7814. This is a free consultation line. You will receive quality advise from one of our seasoned professionals. As with all medications, always seek professional guidance to insure proper treatment. 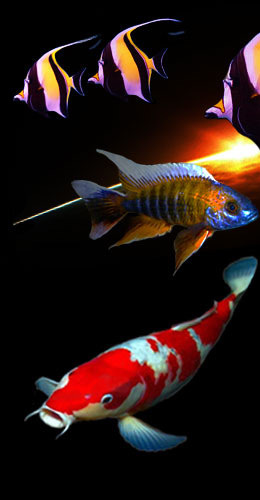 Common Koi Ailments a quick-reference chart of common Koi diseases and treatments for your use. Conversion Charts A reference table to help you calculate water volume, weights and liquids. 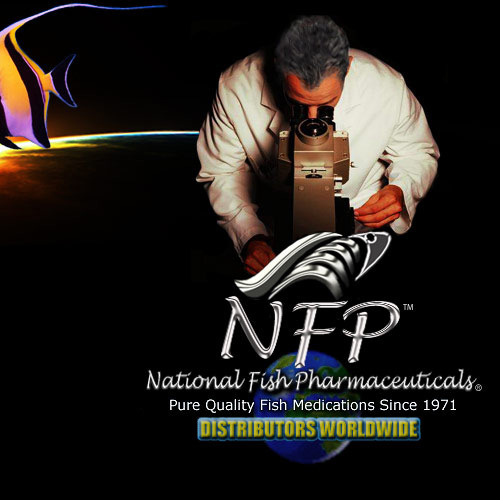 While National Fish Pharmaceuticals makes every effort to post the most accurate and reliable information, it does not guarantee or warrant that the information on this web site is complete, accurate or up-to-date. National Fish Pharmaceuticals assumes no responsibility for the use or application of any posted material. This web site is intended solely for the purpose of electronically providing the public with general fish health-related information and convenient access to the data resources. National Fish Pharmaceuticals assumes no responsibility for any error, omissions or other discrepancies of these documents. \Ich`thy*ol"o*gy\, n. [Gr. ?, ?, a fish + -logy: cf. F. ichthyologie. The natural history of fishes; that branch of zoology which relates to fishes, including their structure, classification, and habits.